Hot air ballooning is the ultimate legal high. Climb into your basket and watch the pros of flight in action, operating these graceful icons of the British skyline. Then it’s up, up and away as you take to the skies and enjoy panoramic views of glorious countryside from several thousand feet. Marvel at the myriad of patchwork fields passing lazily below and for added decadence, pop open the champagne to toast a special occasion, anniversary, birthday or “just because”. With or without the fizz, this is a truly uplifting experience in more ways than one. Hot Air Balloon Flight: Enjoy a flight in this spectacular craft and the chance to assist with inflation of the balloon. Champagne Balloon Flight: A ride in a hot air balloon with the added luxury of a glass of champagne during the fight. Exclusive Hot Air Balloon Flight: Perfect for the ultimate sightseeing trip or a marriage proposal, charter an entire balloon just for yourselves. On the day, you'll receive a full briefing by the pilot with safety instructions. You can help to inflate the balloon before climbing into the basket ready for lift-off. The balloon can rise to heights of 3,000 feet, offering superb views of your chosen location – so don’t forget your camera. The length of the flight is determined by weather conditions but usually lasts for one hour, with up to an hour each side for inflating and deflating the balloon, and returning to the launch site. Bring a hat to protect from the heat of the overhead burner. Leave loose scarves and jewellery at home. Flat walking shoes and comfortable long trousers are advised as the balloon will usually launch and land in a field, which can be muddy. The craft can't be steered so upon landing, you will be collected and driven back to the launch site. Ballooning is a group experience therefore you will share the ride with up to 16 people and the pilot. Alternatively, an exclusive flight is available to book for two people (plus the pilot) which usually includes a glass of champagne. WHEN: Flights typically operate between March and October and usually take place at dawn when the air is at its most stable. Ballooning is extremely weather dependent so you must contact the venue before your flight. If the weather conditions are not favourable, the flight will be postponed to a later date. WHERE: Flights are available at key locations around the country. WHO: Anyone with a love of the countryside, sightseeing, and flying will love this experience. The budget options are shared with other participants so if you are travelling solo, you won't be by yourself. It's also popular with couples thanks to the romanticism of gently gliding through the air high above the countryside. OCCASIONS: Besides birthdays and Christmas, this experience is a great gift idea for special occasions such as landmark anniversaries. Chartering a private balloon and popping the question for a marriage proposal is also very popular. Head up to the clouds on this group experience. Join your fellow fliers on a one-hour sunrise flight in a hot air balloon, flying from one of seven locations. Enjoy a glass of champagne on arrival before heading up on a sightseeing tour like no other. This birthday package lets you fly from over 100 launch sites across England, Scotland, and Wales on morning or evening flights any day of the week. This flexibility makes it a great birthday gift, as does the Happy Birthday balloon in a box and birthday cake too. This experience is shared with up to 16 people at a time and you can help inflate and deflate the balloon. There's also a traditional champagne toast after landing. 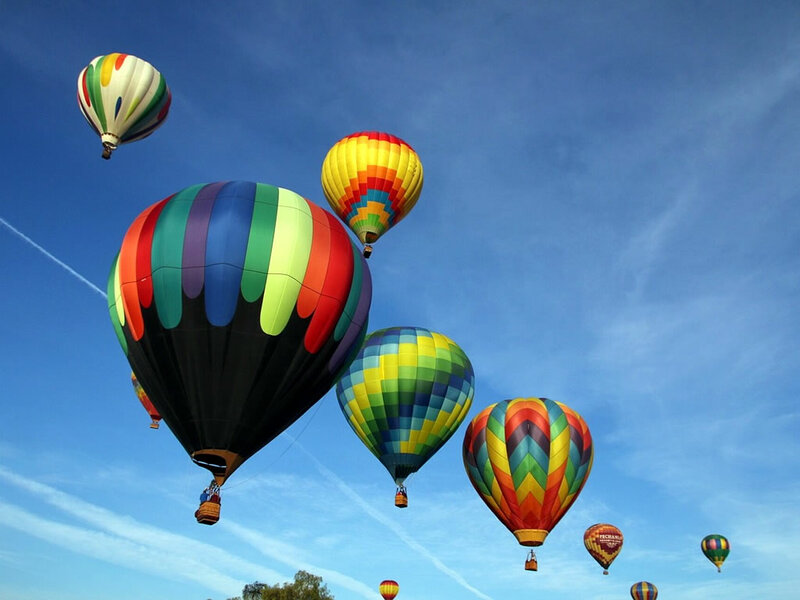 Ditch everyone else except for the pilot and soar up above in a private hot air balloon ride. If you are planning a marriage proposal this is the way to do it. Flights take place on weekday mornings and you'll have a traditional champagne toast after landing.